Your home’s Abstract of Title is a one-of-a kind historical document that is truly impossible to replace. Many of the documents are the original signed legal documents that may have been recorded in a county office, but the document itself with all its details and historic information are in your hands. You should take caring for your abstract very seriously. Much of the paper used since the 1860s is acidic, meaning it was made with wood pulp and binding agents that are chemically volatile and break down the paper over time. It becomes brown and brittle, eventually crumbling away to dust. Acid migrates, making even non-acidic paper brown and brittle. Talk to a paper conservator if you want help preserving specific pages of your abstract that you fear are in danger of crumbling, or to help isolate the acidic pages from the rest of the book to keep the acid from spreading and damaging other pages. This paper shows the brown, brittle quality of acidic paper. It also has adhesive tape and you can see how the acid in the adhesive has accelerated the aging of the paper. Heat and light speed the process along, so make sure your abstract is stored away from heat sources and direct sunlight. Too much moisture swells the paper, dissolving it, sometimes separating it from the ink. Don’t ever laminate paper. Paper actually needs to breathe, so encapsulating it permanently will speed up deterioration. Additionally, the heat from some kind of laminators breaks down the paper. For the non-heat kind of laminators, the adhesive used to bind the plastic together breaks down the paper. You’re better off enclosing pages in non-binding folders or clear plastic envelopes. asses that will degrade the paper and ink. Even products that claim to be archival safe or acid free aren’t long-term tested and don’t often account for all the components of the product. If you have a torn page, use a large envelope to keep the pieces together. Truly archival safe repair methods are available. 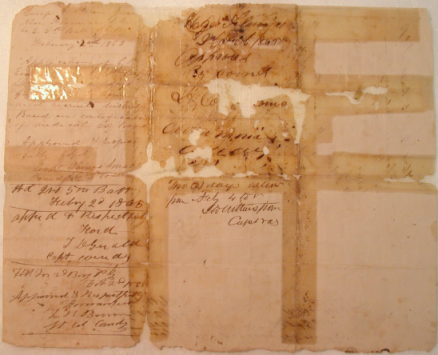 Consult a paper conservator for more details. For all the same reasons Tyvek is great for wrapping homes, it’s also great for wrapping documents. 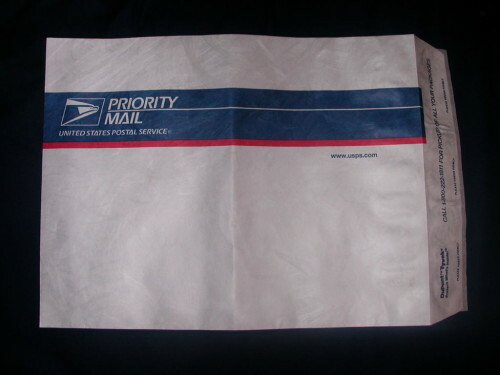 I recommend the large size shipping envelopes like those used by the post office. It is non-reactive, meaning it won’t give off harmful gasses as it breaks down, and it does a great job of keeping moisture, dust, mold, and pests out of your documents. 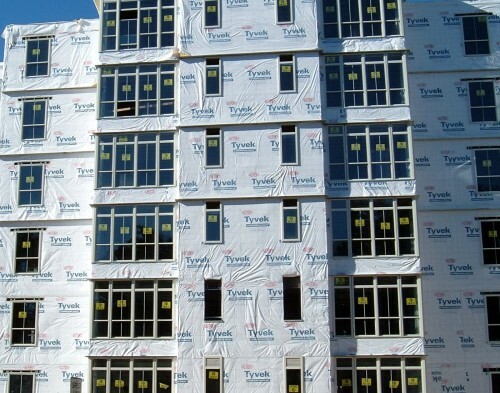 If you’re using a Tyvek envelope, cut off the adhesive strip at the top. You won’t need to seal it, and it’s best if you don’t. Leaving one end open so the paper can breathe is important. The typical abstract is about 9 ½” x 15 ½” x 2” so use those measurements to find a box that is just a little bigger than that, so it’s not crammed in there, but doesn’t have too much room for the abstract to slide around inside. If you want more help protecting, preserving, and storing your abstract, contact a qualified archivist or conservator.